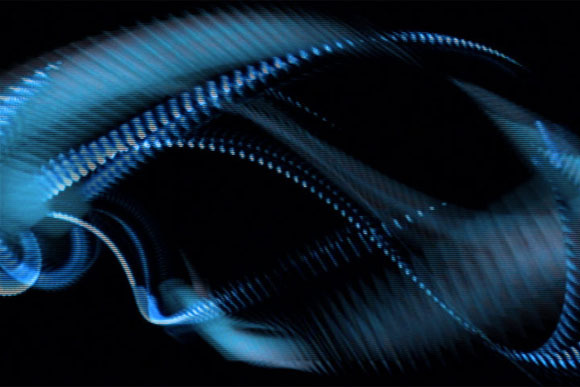 Image from Whizz, projected at a Romanian club by Jan Kremlacek and coded in Processing. 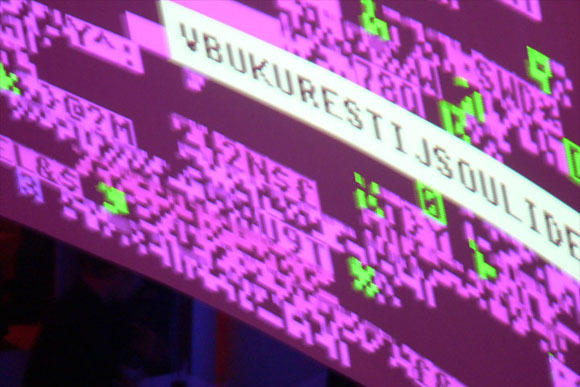 Last week, we saw how Flash and Processing code can create custom VJ and visualization tools. Custom code means custom results, and all sorts of dynamic new possibilities for visuals. Jan Kremlacek writes from the Czech Republic to share his own projects. He’s been using Processing to create interactive visuals for clubs, based on everything from sound to motion detection to heartbeat inputs. 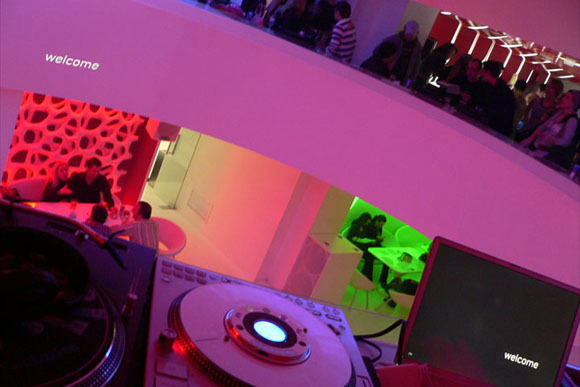 The Whizz project was set up especially for a club in Romania, Bucharest, where I can modify lighting of areas of the club to be synchronized with music. The EDSVJ project is driven by human heart. 🙂 This is just an experiment. The most interesting project in that area I ever did is the Picnic. Picnic is a genetic algorithm trying to find a pattern between human movement, audio and “random” generated vizuals. I’m so sorry, there is no documentation yet, but you can see few stills from Zoom festival opening performance at Flickr. Thanks, Jan! Anyone with interesting Processing projects to share, please do. WhatÃ¢â‚¬â„¢s New in Processing 0116/0117/0118/?